Farre C. and Fertig N.
Ion channels are highly intriguing biophysical entities that play an incredibly subtle role in the concerted actions in which they are involved, and that also have a crucial impact on inter- and intra-cellular communication. They respond to numerous kinds of stimuli and play a decisive role in the vitality of all living organisms. Ion channels are involved in the function of the cardiovascular and nervous systems and their malfunction underlies numerous diseases and indications. For exactly these reasons, ion channels have for decades been, and are still, the subject of in-depth research into a very broad range of important therapeutic areas. As membrane-bound proteins they are highly ‘druggable’ targets, being readily accessible to small molecules that are capable of fine tuning ion channel function by pharmacological modulation. 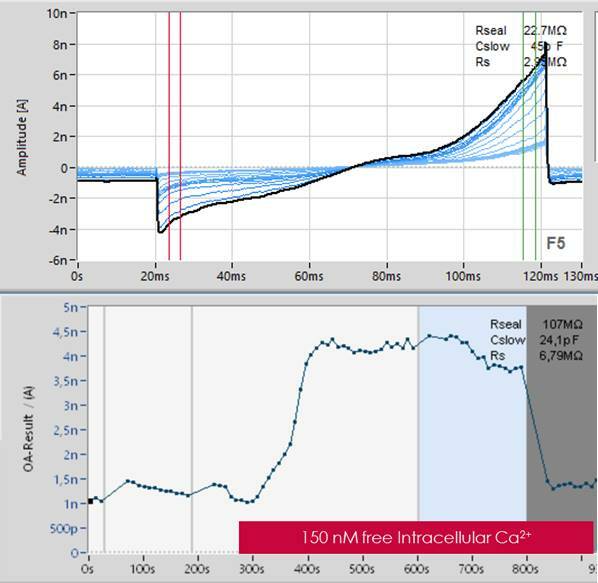 Approximately 15% of the most successful drugs target ion channels, although ion channels have traditionally been difficult to screen due to a lack of adequate assays. Many of the marketed ion channel drugs were actually not discovered in rational drug-discovery programs, but rather empirically and by serendipity since the available ion channel-screening techniques typically confer a tradeoff between high content and high throughput. Six different cardiac channels recorded simultaneously on the SyncroPatch 384PE. 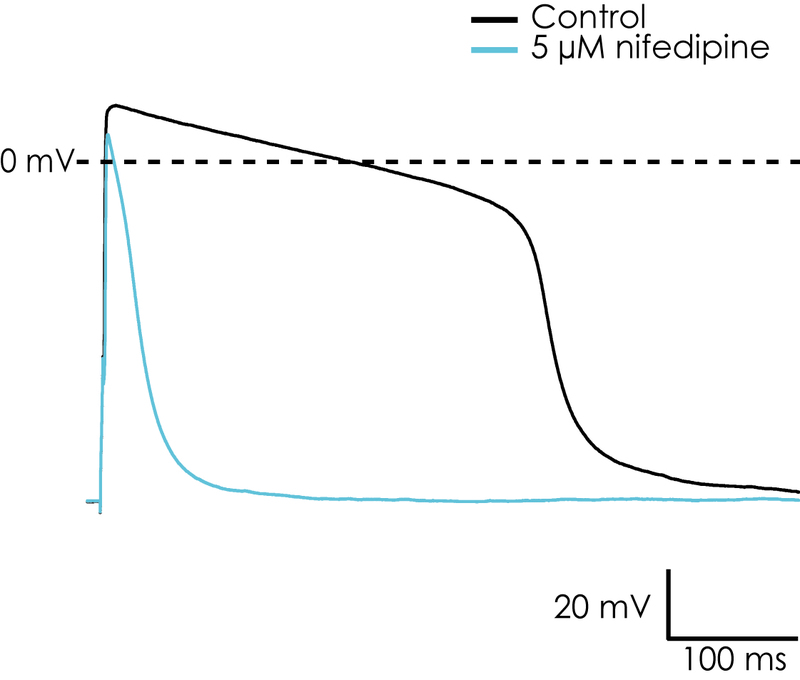 Whole cell current responses of CHO cells expressing NaV1.8 to increasing voltage steps from -60 mV to 60 mV with corresponding average IV curve. 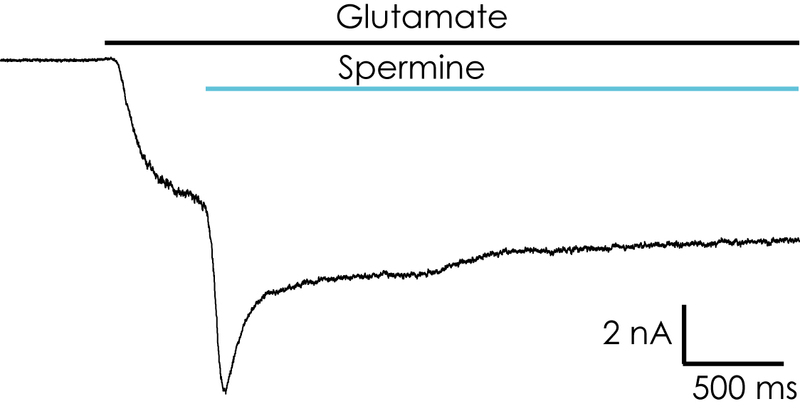 NMDA subunit combination NR1/NR2B expressed in CHO cells: allosteric modulation by spermine. Whole cell current responses of HEK293 cells expressing TRPC5 and activation of current by internal perfusion of Ca2+. 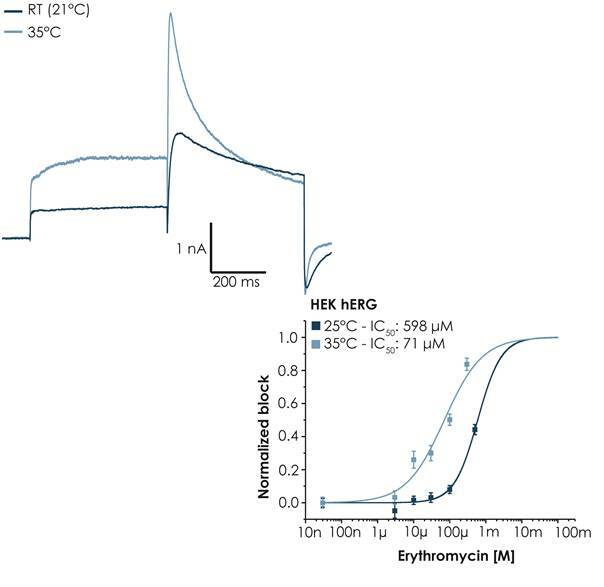 Effect of increasing temperature on kinetics and pharmacology of hERG expressed in HEK293 cells. 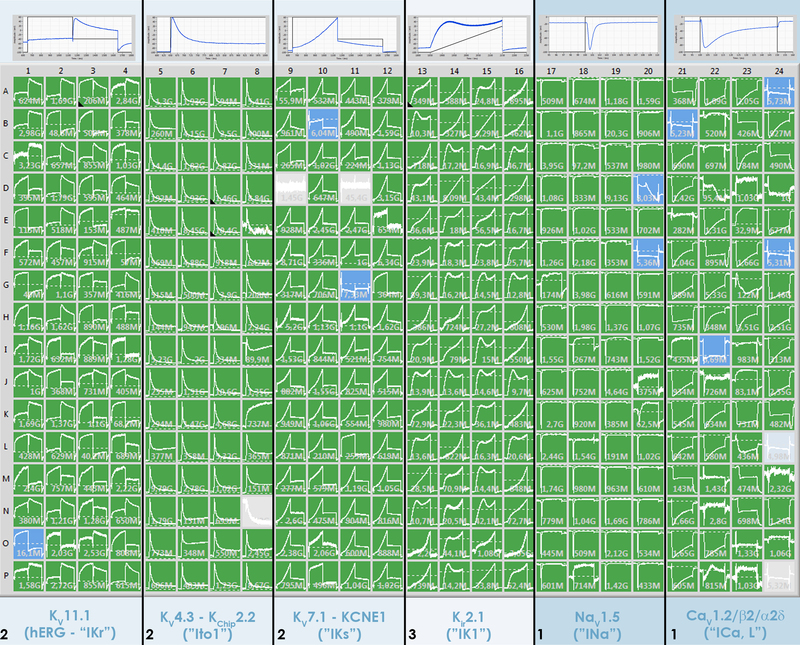 Action potential recorded from Cor.4U cells on the SyncroPatch 384PE and block by nifedipine. We offer SyncroPatch 384/768PE service contracts, in house training and assay support.